Do you have a go-to dessert? don't have the time or energy to think of something else to make. One of the reasons this is my go-to dessert is simply because it is SO easy to make. It's basically cake, pudding, whipped cream and chopped candy or fruit. Another reason I love this dessert is because you can easily make adjustments. No chocolate cake in the house? Bake what ever flavor you have and then adjust the pudding flavor and candy or fruit. It's easy to assemble and everyone loves it. What more could you want in a dessert?!? 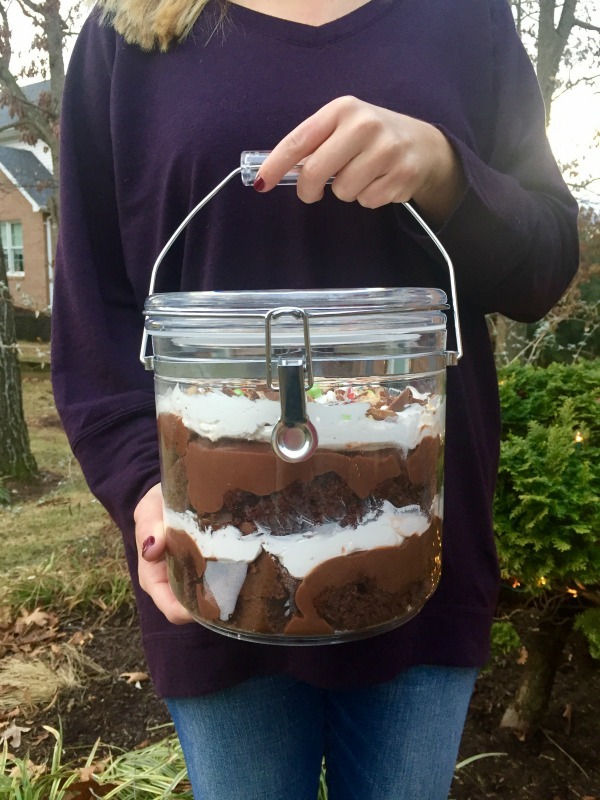 the next cake in a jar! In a large mixing bowl, whisk pudding and milk; set aside. Cut cake in half (freeze the other half or enjoy it later). 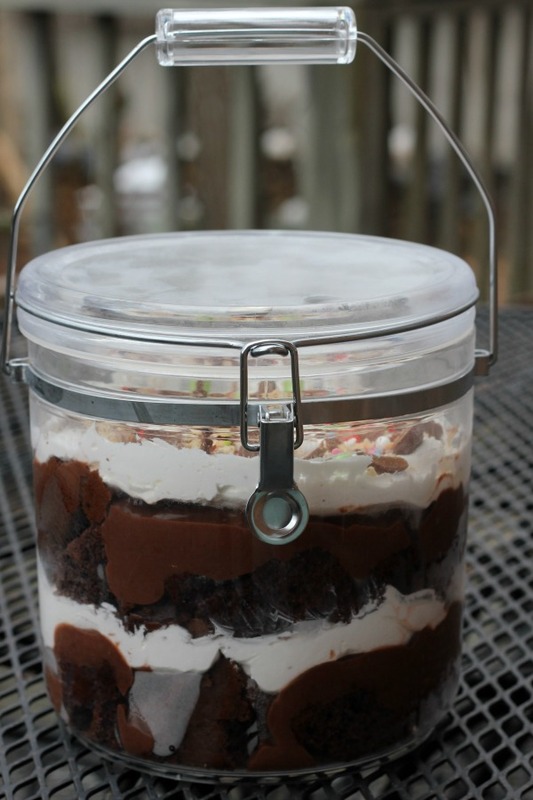 Layer cubes of cake , pudding, whipped topping, chopped candy bars or fruit. Hi Denise! The MainStays jar with handle is made of clear acrylic and it is 130 ounces. It's available in the housewares section at Walmart and on their website.